I’m one of those “dog people.” If I see a dog on the street or at a park, I have to admire it, talk to it, give it a rub or a hug or most likely chat up the Guardian. So, when Michael and Donna told me that their beloved dog, Buster, would be the way too handsome Ring Bearer at their wedding ceremony, I was thrilled. You see, a dog at a wedding raises the joy bar on the day. People come together over a dog. 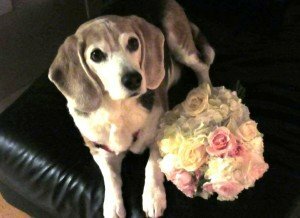 Happily, a sweet fur baby has the power to calm nerves, bring out big smiles and create much comfort and ultimately, creates even more wedding day joy. 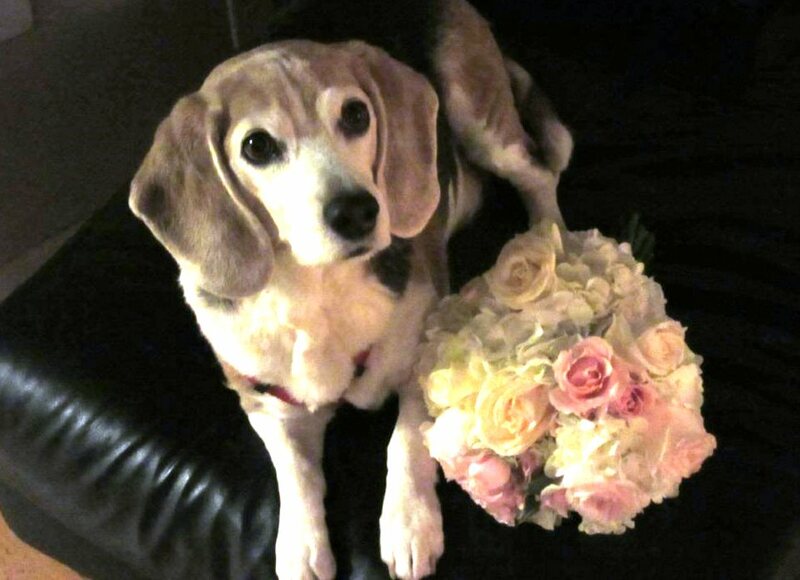 Wedding Dog Buster pranced beautifully down the aisle on November 21st at Within SODO, just before his wonderful Guardian, Donna, walked down the aisle to marry the love of her life, Michael. So, because I can’t resist, WOOF!